2015 Car Accident Weekly Planner by ESTRA takes out hassles and organizes. Day one of anyone’s accident is difficult. Shock of any sort takes its toll on the people involved. When also dealing with Auto Insurance, Employer, LTD, Social Security, Surveillance, Attorney, Medical Care, etc., a journey can become overwhelming. I personally understand this type of situation, which is the reason for ESTRA Brand or products to assist with getting through the process of Insurance Claims. In 1995, I was involved in a life changing accident and multiple collisions since this date. I’ve learn about obstacles, possible resolutions, and pitfalls set for the unsuspecting. The more informed and knowledgeable about Insurer (Insurance Companies) and Insured (Policyholders) process of a car wreck, the better chances of fair and equitable outcome for the injured. 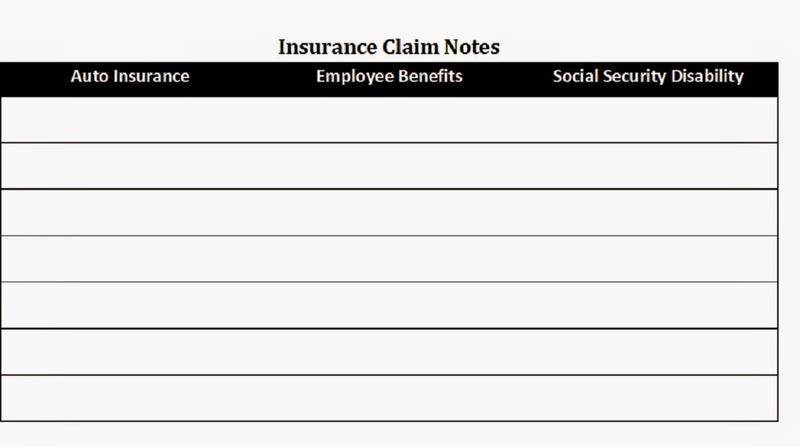 Currently legislation protects the interest of Insurance or Employers. The Insured also needs protections in order to receive fair settlements and reduce delays, denials, and bad faith actions of some corporations. Insured Civil Rights promote the cares and concerns of people injured in car accidents. Please join me, ESTRA in bring awareness of this issue. This Calendar’s new design opens up each page for keeping track of specific information, and leaves blank space for unique documentation, and experiences to highlight. 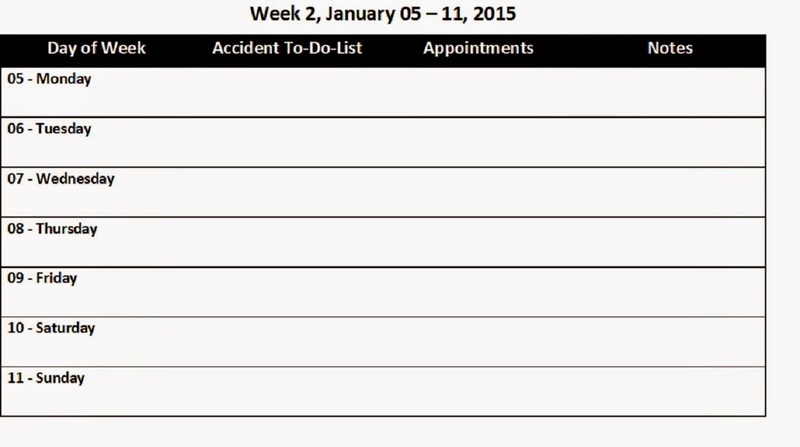 Car Accident Weekly Planner Calendar provides a place to organized thoughts, write down collision information, easily retrieve documentation, and track recovery process. The uniqueness of ESTRA Car Accident Weekly Planner incorporates my experiences of being in traffic collisions and what is needed to get through the accident process. Be sure to visit ESTRA Official Car Accident Site (estras.blogspot.com) for additional information and support. ESTRA understands and has experienced many situations involving collisions. Highlighting helps to distinguish appointment types. Using all capital or small letters is another option. Underlining, checkmarks, or other creative ideas provides easy recognizable information. Documenting at same time each day helps to be consistent. Choose time of day when energy and focus is best for completion and successful uses. 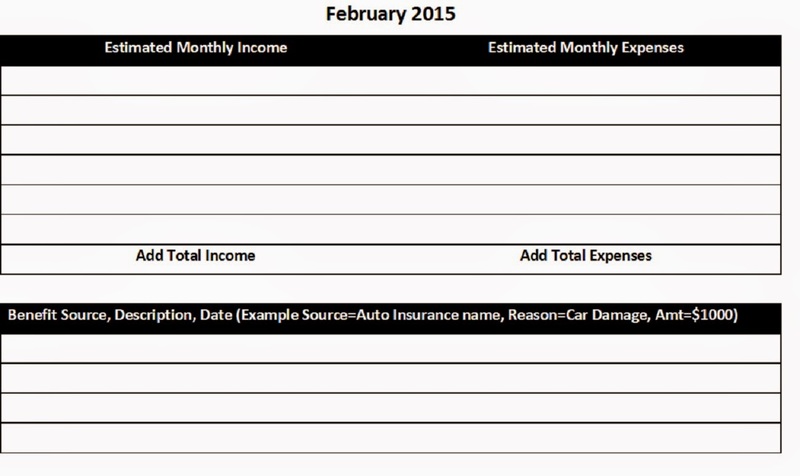 Try budgeting at the beginning of month. Planning helps meet targets. Any problems arising may be found sooner than later, providing opportunity for self-correction. Keep Planner close at hand for writing down appointments or events. This allows balanced scheduling activities thereby saving energy. Writing out Accident To-Do-List Daily will help remember actions and protect time use. 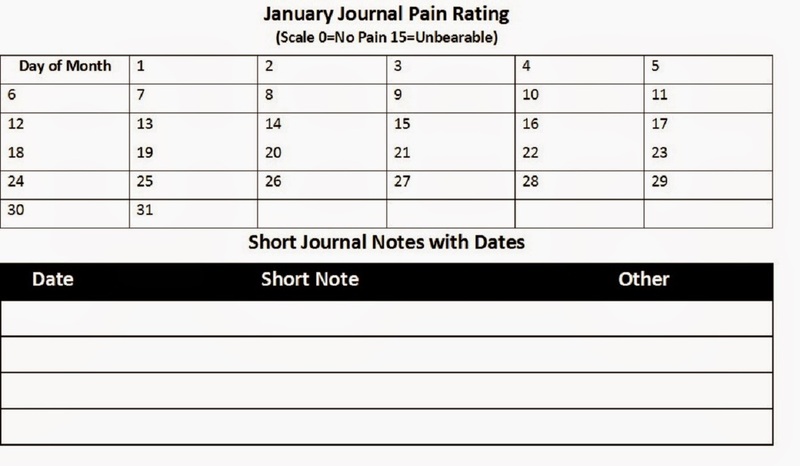 Use Pain Rating Chart to reflect where you are daily. This also aids in reviewing progress. Relax as much as possible. Stress can do more harm perhaps than injuries. Clarity allows for clearer thinking and provides opportunities to make better decisions. Realize you are dealing with wealthy corporations who do this for a living. There are some cases where Policyholders are taken advantage of by those looking out only for their interest. This is why it is important to educate yourself on Insured Civil Rights along with supporting and promoting improvements. Be creative on use of ESTRA Car Accident Weekly Planner. It is design with your needs in mind. Many situations may seem unique, yet, most are experienced by insured. Your participation will open up dialogue and increase knowledge enabling better outcomes for Policyholders. You are welcomed to join conversation on Twitter @ESTRAsBlogTips. Stay hopeful. There will be times of discouragement and lack in some way. Lack of money typically is the number one concern. This is common for insured. Visit ESTRA Official Car Accident Site often. Knowledge makes a difference when seeking answers about how to proceed with a car accident journey. You’ll find information about Auto Insurance, Employee Benefits, Social Security Disability, Short and Long-Term Disability, Advocacy, Surveillance, and much, much more!